Companies who rely solely on inbound feedback to gain a greater understanding of their customers’ experiences may be missing the opportunity to solve for the problems that are most related to customer loyalty. Most organizations understand the importance of focusing on negative customer experiences. Customers who’ve had problems or are unhappy are more likely to change their shopping behavior, and also to tell others about their experience — both to the detriment of their current provider. Many businesses rely on inbound mechanisms to capture that negative feedback. 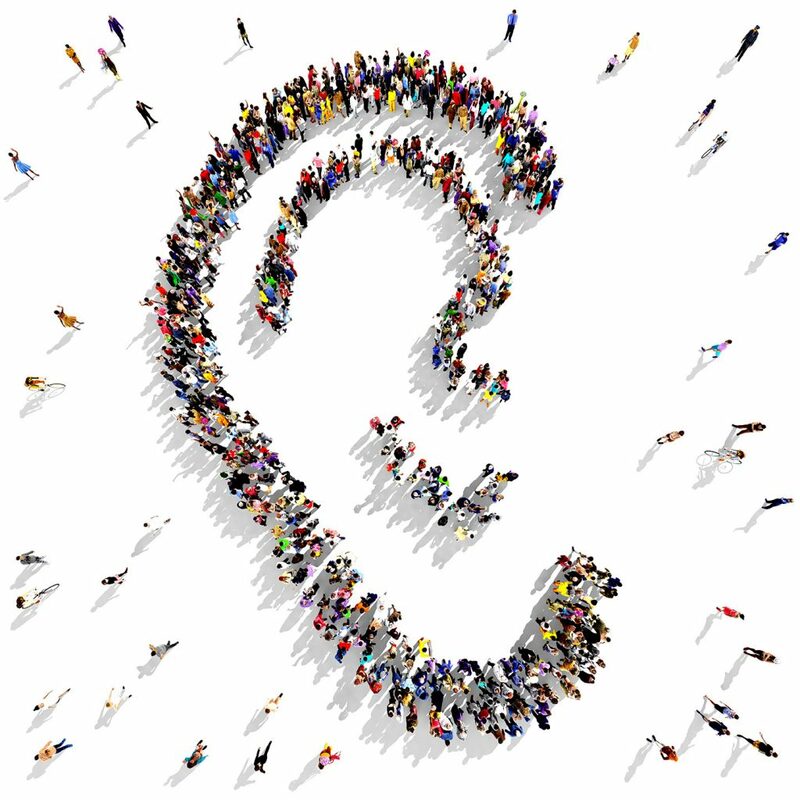 They’ve invested a great deal in creating multiple, effective ‘listening stations’ to gather feedback — call centers, sales team, websites, programs, market research and social media. These companies believe that, with multiple channels harvesting customer inputs, they’re sure to understand customer issues and negative experiences throughout the customer journey. Unfortunately, our research doesn’t bear this out. According to Verde Group findings, more than two-thirds of customers (67%) experience problems and never contact the company about them. Instead, they’ll choose to explore other options and often take their business elsewhere and you’ll be left wondering why you lost a perfectly good customer. Even if customers do call in with problems, they may only identify issues they think you can fix. Worse, the ones they tell you about may not have a significant revenue impact on your business. You may spend time and resources addressing issues that have a minimal effect on your bottom line while having no real window into the negative experiences that are making customers walk away — and taking their wallets with them. Luckily, by looking beyond inbound customer feedback, companies can gain a better understanding of customer issues while also strengthening relationships with those customers. Reaching out and asking for customer feedback can make a world of difference in the quality of the responses you receive. If they believe your intentions are genuine, many customers will open up about their experiences, both good and bad. There are a number of ways to do this. Many companies will send out an email survey (or better, a personalized email) after a customer engagement. Some will initiate a call-back to the customer after a purchase is complete. Even better, develop a plan to reach out to the customers you haven’t heard from in a while. They will offer a unique and valuable perspective compared to new customers or customers who have proactively contacted you. Where viable, a more in-depth, personal interview can yield the most valuable feedback. A conversation gives the customer the opportunity to be more candid and detailed in describing their experiences with your company. Feedback gathered from proactive outreach can provide your cross-functional partners with a wealth of information. Socializing these findings is a great way to drive customer centricity within your organization. When a customer does share a problem or a negative experience, your next move is critical. You need to resolve the customer issue, and in such a way that the customer is happy with both the outcome and the interaction. The fix may fall outside of policy, and in some cases may be expensive, but wherever possible, resolving the customer problem should be your prime consideration. The next step is equally important — following up. From a customer perspective, there’s nothing worse than thinking your issue is resolved, only to find that it’s not. Following up to confirm you’ve addressed problems to the customer’s satisfaction will ensure there are no outstanding issues, and create a lasting, favorable impression with the customer. Many customer service centers send a survey for feedback immediately following an interaction. At times, this can provide a false positive. The customer believes that the problem was fixed only to realize a week later that it wasn’t fully resolved. Consider the timing of the customer service survey to ensure the customer has had time to fully implement the fix or solution. While inbound feedback alone does not provide a complete picture of the customer experience, it is an excellent source of information. As part of your overall initiative, you should ‘re-tune’ your inbound process to ensure you’re collecting the best feedback possible. One way to do this is by reframing the questions you’re asking the inbound customer. Rather than ‘are you satisfied?’ consider ‘what didn’t you like about your interaction?’ or ‘what could we have done better?’ You want to develop your questions in a way that provides actionable feedback. Feedback is useless if you can’t drive action to fix the issue. Once uncovered through your inbound efforts, any issues identified can be managed with the ‘fix and follow up’ process you’ve already established. Even the best companies can’t avoid customer problems — it’s how those issues are brought to light and handled that makes the difference. It’s critical to capture feedback not only from customers who self-report problems but also from those who never report at all. Over time, dissatisfaction levels will drop as you tackle one problem after another and loyalty will rise.